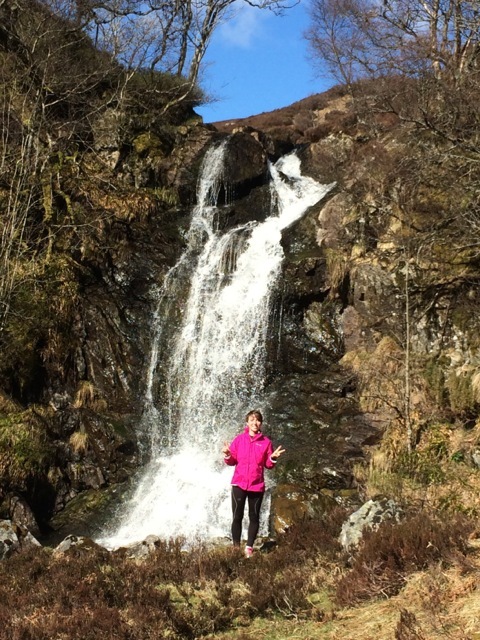 Hidden Gems – after cycling up Glentanar, past the ruined Shiel, parked up bikes to jog the remainder – just crossing the Tanar to go up ‘Alt Deas’ there is a superb waterfall to the right. 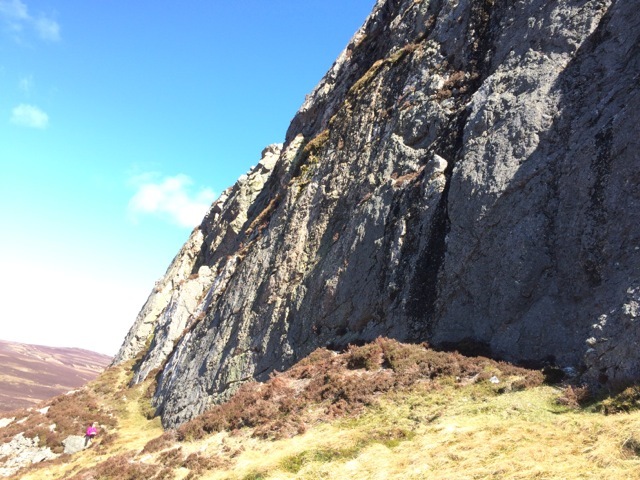 Met Eric, the Ranger, on the way up – he asked us to watch out for Peregrines, and not to disturb them for long – saw a pair, and Eric was very happy to have them confirmed when we saw him again on our way out. This entry was posted in cp56 and tagged Amandine, Warren on April 21, 2015 by site_admin.